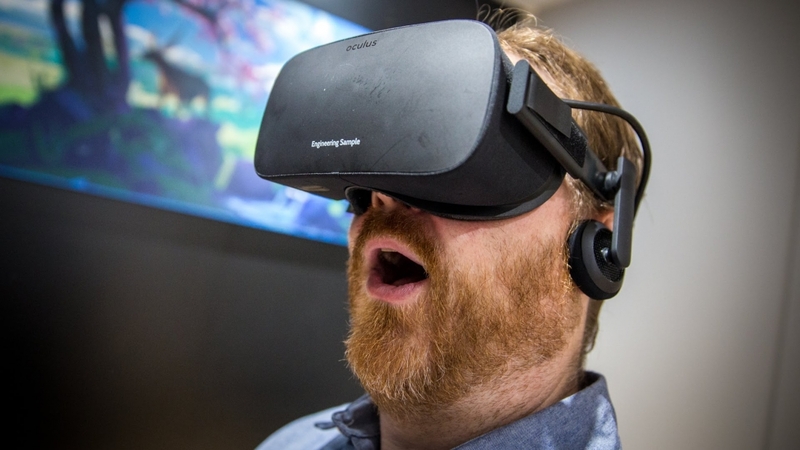 Some people got a bit of a shock last week when Oculus announced that the Rift headset would cost $599 at launch. Considering the powerful hardware that you'll need to run games at an acceptable frame rate and resolution for virtual reality, the entire cost for a VR-capable rig with an Oculus headset is easily north of $1,500. Oculus founder Palmer Luckey doesn't believe that the price of the Rift itself is the most significant barrier to high-end VR gaming. Instead, in a Reddit AMA Luckey stated that "your crappy PC is the biggest barrier to adoption", and that will only change as more and more consumers start purchasing high-performance hardware. Luckey hopes that in the future, a "normal" PC will be good enough to run VR games, which would then enable "the majority of people will be able to buy a relatively cheap headset and just use whatever computer they already own to drive it." The best way to achieve this is to increase demand for high-end hardware, which will cause prices to drop and the rate of innovation to increase. In the meantime, Oculus is working with hardware partners such as AMD and Nvidia to get the most out of current hardware in a virtual reality setting. Both GPU companies have already established VR initiatives – AMD with LiquidVR, and Nvidia with Gameworks VR – that will help achieve the best VR experience so long as you have powerful enough components. Luckey repeated that Oculus is not making any money from sales of the Rift headset, with the company instead focusing on their software distribution model and exclusive content to generate profit. He also stated that the Rift is priced at $599 because that "is the current cost of making a really good headset", although he is sure the price will decrease over time. The Reddit AMA where Luckey answers all sorts of questions relating to Oculus and virtual reality is well worth a read if you're interested in how the ecosystem will work.